How Long Will You Exercise For? Alternately enter a Calorie amount to find out how long to burn this up! 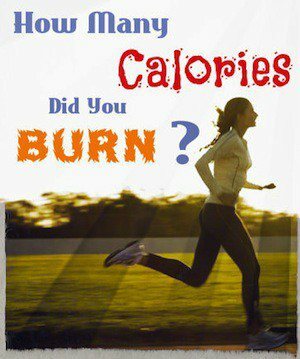 How Accurate is the Calories Burned Calculator? This calculator uses the latest figures from the Compendium of Physical Activities – a publication from the Arizona State University. Each activity has a MET (metabolic equivalent of task) that attempts to measure the energy cost of activities. These METs are then applied against your base metabolic rate at rest. It is far from an exact science as these amounts are derived from a large sample of people (and are therefore an average). The main issue is body composition (see the body fat calculator for more). Calorie expenditure will vary depending on the ratio of body fat to muscle or lean mass. NOTE that as our bodies adapt to exercise and our body composition changes – so will the amount of Calories burned. As time goes on, body sensors and devices are proliferating (such as smartphone accelerometers, fitness bands, et al). However, accuracy is not assured with these – but the technology continues to improve. What Does This Mean For Fat Loss? Exercise requires energy, and this energy is measured using Calories (or more accurately, kilocalories). Considering 1 pound of fat is the equivalent of 3,500 Calories – you can see that it takes a lot of exercise to burn fat. In addition to this, the source for energy may come from either fat or muscle glycogen. As the body adapts to each exercise, it becomes more efficient in its use of Calories – therefore burning less! The amount of muscle also has an impact on Calories burned. Because muscle is metabolically active – more muscle means more Calories being burned. This explains why strength training is such a good fat loss exercise. Target Heart Rate Calculator– You burn the most calories at your target heart rate. Advanced Fat Loss Sample Workout– Aggressive workout for maximum fat loss and muscle toning. Ainsworth BE, Haskell WL, Herrmann SD, Meckes N, Bassett Jr DR, Tudor-Locke C, Greer JL, Vezina J, Whitt- Glover MC, Leon AS. 2011 Compendium of Physical Activities: a second update of codes and MET values. Medicine and Science in Sports and Exercise, 2011;43(8):1575-1581. Link.